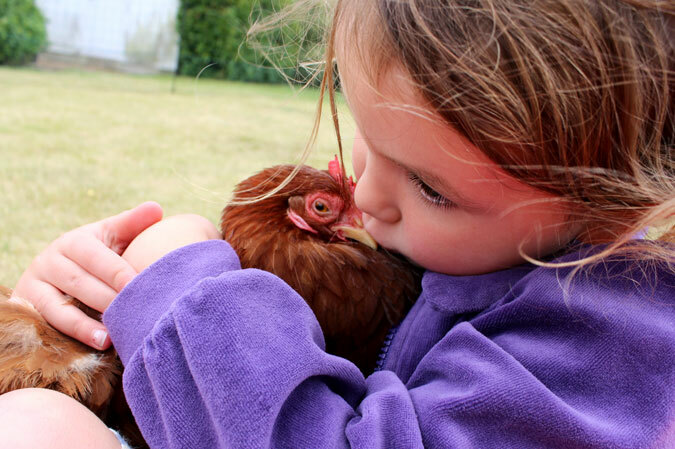 Valentine’s Day is upon us again and that means more than just giving your loved one (or pet chicken) a kiss… you may not be aware that February 14th is also traditionally the time that hens go back to full lay. If you keep two chickens, that means you should soon be back to getting a dozen eggs a week again. Hooray! So, as well as your roses and chocolates you should have an eggstra special breakfast to look forward to this Sunday. 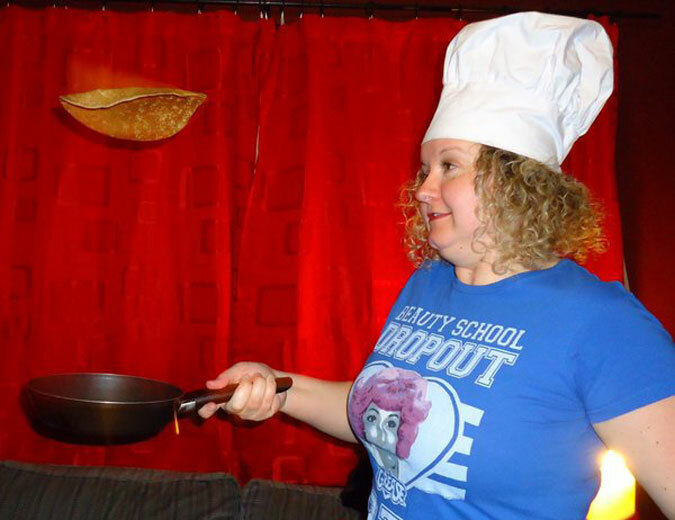 Did you have a flippin’ fantastic pancake day? It looks like it! We asked for photos of your flips on Facebook and Twitter for a chance to win an Egg Ramp and Rollabowl, and you didn’t let us down. 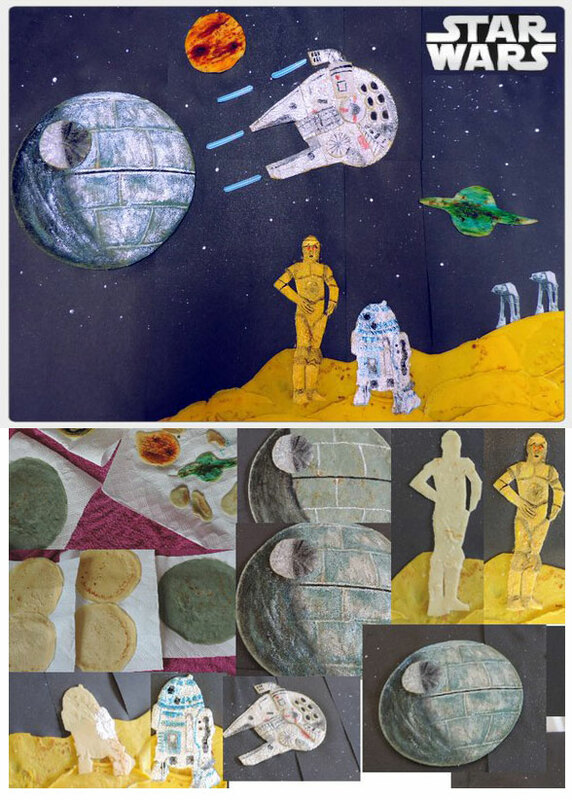 Here is the winning gallery, and check out this impressive Star Wars scene, all created from pancakes! 1 – In 1995 Dean Gould tossed a pancake 349 times in just two minutes. 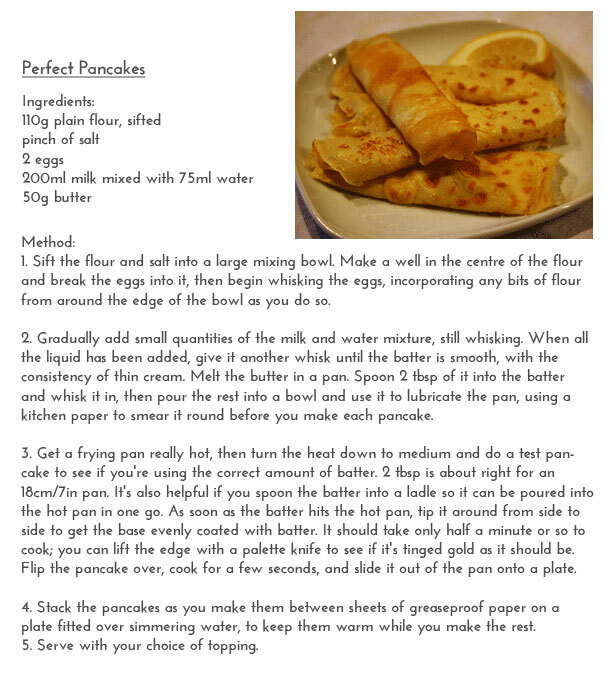 2 – The biggest ever pancake to be flipped was just over 15m wide and three tonnes heavy. 3 – In France, it is traditional to touch the handle of the frying pan and make a wish while the pancake is turned, holding a coin. Is your hutch looking worse for wear? It’s time for an upgrade! Save Over 10% on Eglu Go Rabbit Hutches! Spring will soon be here and there’s nothing more spring-like than watching your pet bunnies hopping around the garden enjoying the sunshine. 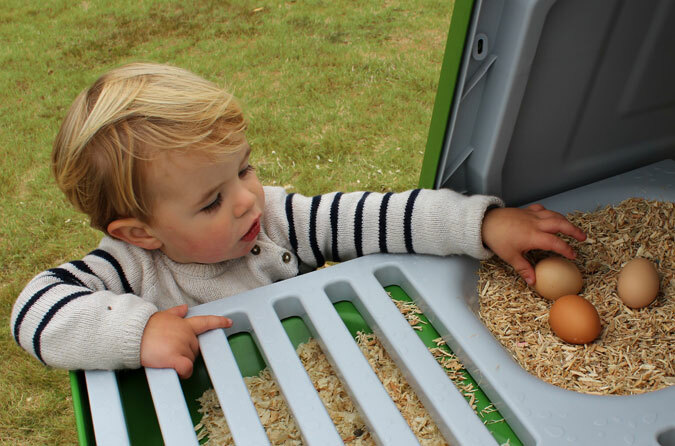 Now is the perfect time to swap that damp wooden hutch for a colourful, cosy Eglu. 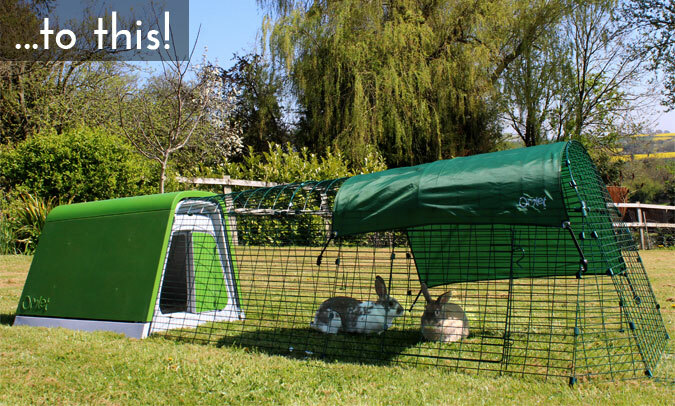 The Eglu Go Rabbit Hutch, like all Eglus, has twin walled insulation to keep your pets cool in summer and warm in winter. Unlike wooden hutches, it is easy to keep clean and fresh, with no cracks for nasty bugs and waste to hide in. 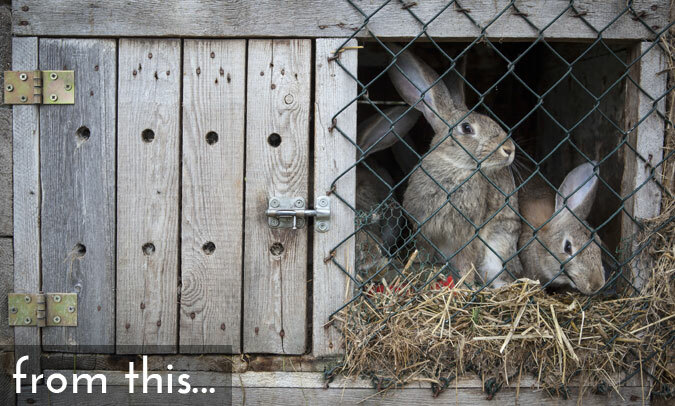 Your bunnies will love being able to hop in and out of their house as they please to bounce around the fox-resistant run and the underfloor wire (included) will stop them digging out. Order your Eglu Go Rabbit Hutch with 2m Run today for only £299 (usual price £360). Use promo code: UKUPGRADERH (valid until 29/02/15). We also have great savings on our Eglu Go Chicken Coops and Guinea Pig Hutches – click here to find out more! 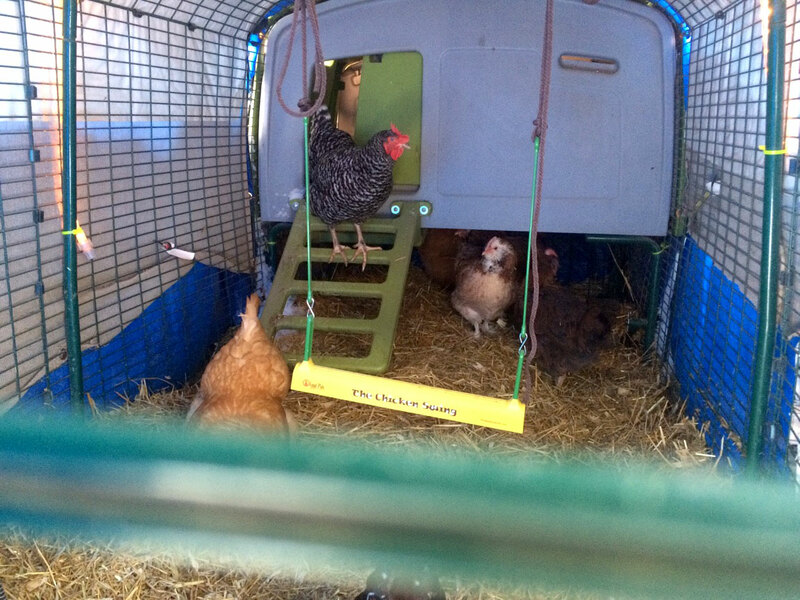 Just how weather proof are Omlet chicken coops? Very! 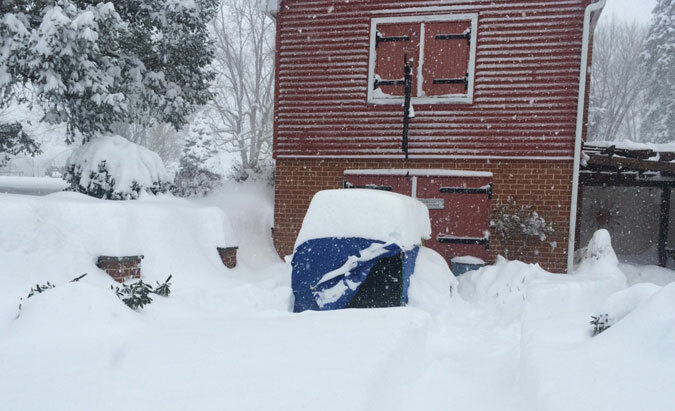 Kathleen Gannon was recently affected by the extreme snow storm in Pennsylvania and despite a coverage of 30 inches, her hens were happy as can be in their Eglu Cube. 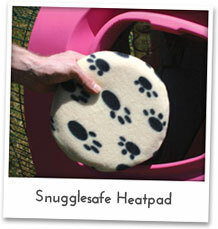 Click here to see a photo of them comfy and cosy inside their run. Luckily, the girls seemed oblivious to their frozen surroundings! 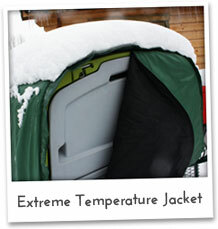 The Eglu Cube has twin-walled insulation to keep your chickens warm during winter weather. An Extreme Temperature Jacket can be added for extra protection, and adding a run cover or two will keep the run nice and dry through rain and snow. Just How Fresh are Supermarket Eggs? Buying eggs as part of the weekly supermarket shop is the norm for many of us, but did you know that by the time you’ve popped them in your trolley they could already be four weeks old? Although EU legislation ensures that eggs have to be sold by 28 days from lay, this could still mean you end up buying eggs that are weeks old. Perhaps not as fresh as you thought!? The easiest way to check if your egg is fresh enough to eat is to drop it into a container of water. If it floats upwards in a vertical position, it’s stale. If it sinks to the bottom and lies horizontally it’s fresh. Of course, the best way to ensure your eggs are fresh is to keep your own chickens, and nothing beats the taste of a newly laid egg! 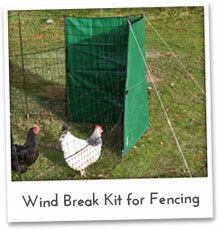 Click here to read our guide to keeping chickens! « Eglu saves hens from flood, half a million chickens and cauliflower for everyone!